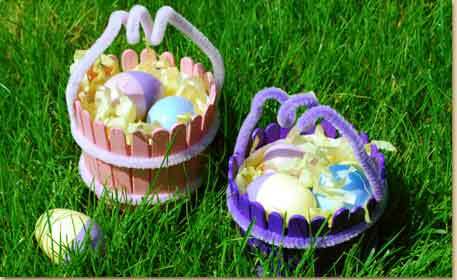 These Mini Wooden Easter Baskets are the perfect craft to hold chocolates or candies for Easter. 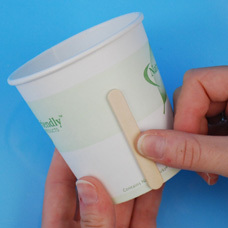 Lay a Mini Craft Stick against the side of your cup to check the height. 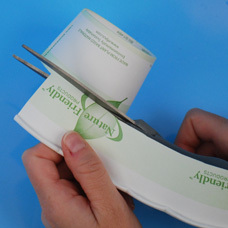 If the cup is too tall, trim it with scissors. 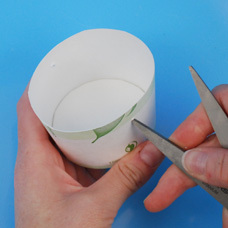 Using the point of your scissors, poke two holes on opposite sides of the cup as shown. Adult assistance may be required with sharp scissors! 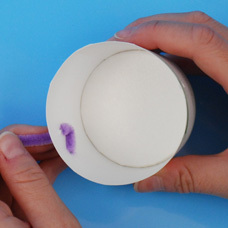 Insert a Fuzzy Stick into the hole created and make a small knot inside cup to secure position. 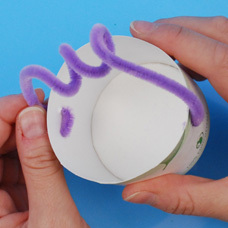 Twirl the Fuzzy Stick several times around your finger to create a fun swirl at the top of your basket. 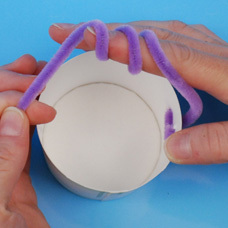 Insert the other end of Fuzzy Stick into the opposite hole and repeat the small knot to secure the handle in place. 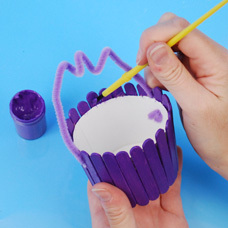 Begin gluing Mini Craft Sticks around the outside of the cup. Make sure that the sticks are standing straight up! There might be a few tiny gaps between the sticks but don’t worry, you will paint the inside of the gaps at a later step. 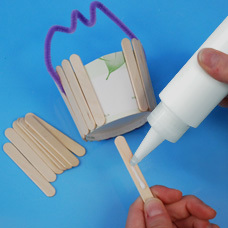 Once the glue is dry, paint the sticks and any gaps seen with Acrylic Paint. 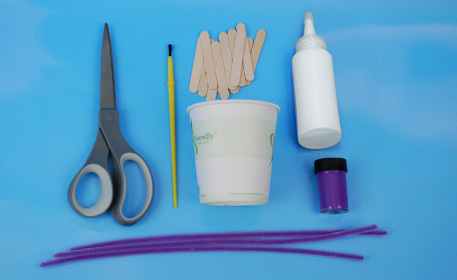 Make sure to also paint the inside tips of the Mini Craft Sticks that may be exposed for a clean look. Apply two coats of paint if needed. 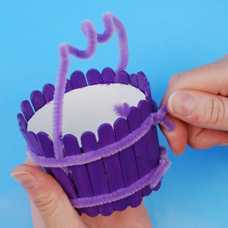 Once the glue is dry, wrap (2) Fuzzy Sticks around the top and bottom of the basket. Twist the ends to secure and cut off the excess. Now fill your basket with goodies for you or a friend!